Matt proposed 8th of September 2017, the first day we moved into our brand new home. The home we had been saving for, designing and dreaming about since we moved back from London, 3 years in the making. He couldn’t have planned it any better! I don’t think anyone can prepare you for the feeling. It’s like you’ve been injected with a love potion and you’re just floating around in this big bubble that no one can pop. It has got to be one of the most amazing and surreal feelings I have experienced thus far. Now that we’re 8 months in, I thought I’d share some things, both good and bad that I’ve learned planning a wedding so far. The first thing you need to do before any planning begins is CELEBRATE! Matt was well prepared with numerous amounts of Moet and seriously the celebrating did not stop. It felt like we celebrated right up until Christmas and New Years… actually come to think of it we did! We even had our engagement party in January. Also, it really was a double celebration as we had just moved into our home. The best thing was surprising our family when they thought they were coming over to view our finished house only to flash my hand in their face to show them the ring. To be honest it’s quite an overwhelming time, having photographed many beautiful weddings it hit home to me that we would be having our very own. It’s easy to want to jump into Pinterest and Pin away into oblivion BUT you’re only engaged once so make.the.most.of.it! Tell the world, bask in the happiness and enjoy the journey. As soon as you’re engaged it’s crazy how many people start asking questions. When’s the date? Where are you going to have it? Who are your bridesmaids? When’s the baby? 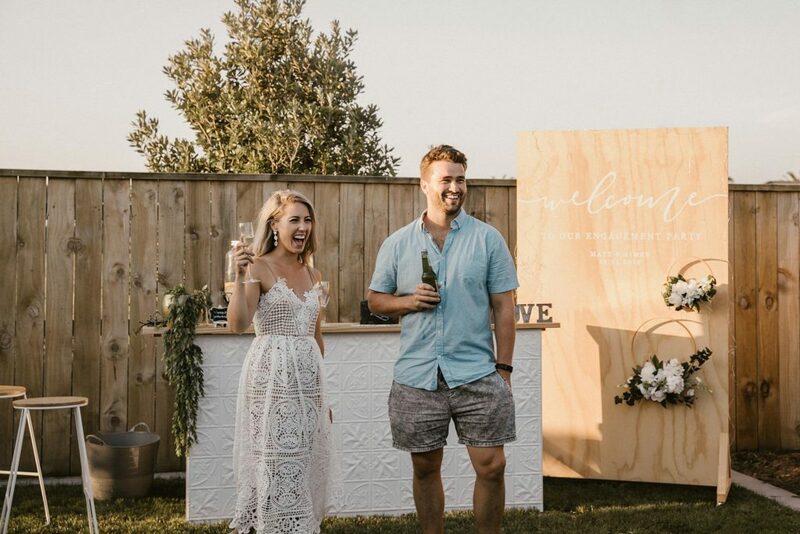 Haha… It all of a sudden gets serious and you’re over here, in the big love bubble thinking “Whoa slow down I just got engaged!” As well as the questions, opinions begin to arise. Remember it is YOUR day, don’t let those subtle opinions make you second guess yourself. First things first, I would recommend thinking about a rough wedding date, what season you’d like or time of year. In the excitement of it all I wanted to get married ASAP. I’ve always loved the Autumn months, the colours, the temperature, the light, however that would have meant only a 7/8 month engagement. Most people can pull that time frame off easily but due to my super busy wedding season, and it being Matt’s busiest time at work it was just not doable. Instead, we opted for January, to start the new year off with a bang, right before my birthday and right before the season kicks off again. Also our date, 19 Jan 19, gives me all those OCD feels. You will second guess almost every decision you make. I did this sooo many times early on over our date and venue. And, I don’t think it will stop unfortunately as it is one of the biggest milestones in your life. However you have to trust your gut and go with what feels right! If you’re a busy person or know you may feel completely overwhelmed with the whole planning process, and if your budget allows, I would totally recommend a wedding planner. 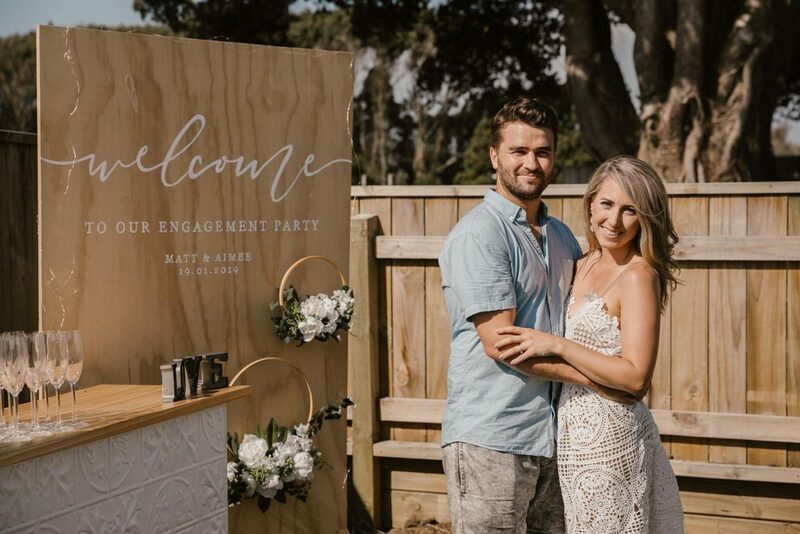 Soon after getting engaged I reached out to Vic, from Victoria Jayne Weddings. I have worked with her on many weddings and know exactly how professional and on to it she is. Anyone within the Wedding Industry knows how full on the summer months can be. Time to even think about our own wedding stood still but Vic made sure we stayed on track. She acted as our guide and told us what needed to get done by what time. She also has ways to break down the planning process so you don’t feel so overwhelmed because gosh there is a lot to think about. BUDGET. Huh, what budget? By this stage I thought right let’s get a good ol spreadsheet together. Once you’ve paid deposits on a few vendors it’s the perfect time to start to nut it all out. Yes weddings are expensive, I didn’t realise just how expensive, and this can be one of the most stressful times of the wedding planning stage. What you thought something may cost, it doubles even triples. Matt very quickly thought we should run away and elope and I’m sure many couples experience this feeling. It definitely isn’t the best part of the wedding planning process but it is essential. Choose what you want to splurge on and cut costs in other areas. Try not to get too carried away because at the end of it all, it is only one day. Wedding Planning is very much an emotional rollercoaster. My advice would be to stop, breathe and remember why you’re getting married in the first place. It is about us, Matt and I, saying “I do” in front of our most nearest and dearest. It’s so easy to get lost in all the hype but really all I want to do is marry Matt and start our future together. Whatever that may bring and isn’t that a wonderful feeling? Gosh if you have got this far… well done! That turned into a LONG post. Please feel free to comment or ask any questions… there’s so much more I could talk about… DRESS SHOPPING… gosh thats a whole new blog post all together! I may have to do a wedding planning part 2 blog… what do you think?